Amsterdam-based contact management tool Soocial has been acquired by professional social network powerhouse Viadeo. 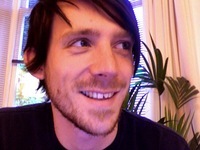 Amsterdam-based start-up Soocial has been acquired by Paris-based professional social network Viadeo. All Soocial services will continue independently for now for its 120.000 customer base. The team will stay in Amsterdam and become an independent business unit as part of the bigger story of Viadeo, with more resources to provide more cool stuff in the future. Contact Management is a key feature for professional networks and Soocial will be providing this added value to users of Viadeo. 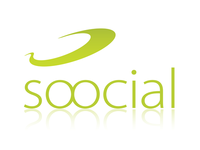 Amsterdam-based start-up Soocial has been acquired by Paris-based professional social network Viadeo. Soocial is an online synchronization and address book tool that was founded in 2007 by Stefan Fountain and Daniel Spronk. The service has over 120.000 users of which more than 3000 are paying users. All Soocial services will continue independently for now for its 120.000 customer base. The team will stay in Amsterdam and become an independent business unit as part of the bigger story of Viadeo, but Soocial will have more resources to make cool stuff in the future. Contact Management is a key feature for professional networks and Soocial will be aiming to provide amazing added value to users of Viadeo. The Soocial website will remain fully operational and independent for the foreseeable future and it's members will continue to enjoy all the address book magic that Soocial provides. Over time both services will be further integrated and Soocial will be posting regular updates about the progress and users will be notified accordingly and timely of relevant changes as they are scheduled in the months to come. Paid subscribers of Soocial will continue to get the service they've subscribed for and on top of that Soocial's plan is to make sure they get all the cool things as premium members in Viadeo. The Soocial accounts and their corresponding data will remain to be guarded with the same vigor Soocial users are used to. For the immediate term nothing will change to the data but eventually after the full integration is done Soocial accounts will be changed into Viadeo accounts and your data will be migrated seamlessly into the Viadeo service. Manage and develop their network of professional contacts. Viadeo’s members consist of business owners, entrepreneurs and managers from a diverse range of businesses both start-up and well-established. Every day Viadeo attracts more than 30,000 new members; 150,000 new connections are made and over 3 million profiles are viewed. Based in Paris (head office), Viadeo also has offices and teams in the UK (London), US (San Francisco), Spain (Madrid and Barcelona), Italy (Milan), China (Beijing), India (New Delhi), Mexico (Mexico City) and Senegal (Dakar). The company employs 310 staff worldwide. Soocial is a simple and hassle-free online address book. Safely store your contacts in one place and get them synced to all your devices. Be it your mobile phone (iPhone, Blackberry, Android or almost any other), email (Outlook, Gmail, Hotmail, Yahoo) or Mac Address Book, Soocial unifies and syncs right back to all of your sources to maintain the same view of your contacts anywhere. Add a contact once and get it on any of your address books! Connect with other Soocial users or coworkers and eficiently share updated contact information with them. Soocial is located in Amsterdam, the Netherlands and has users from all countries around the world that entrust them with over 50 million contacts' details. Amsterdam-based start-up Soocial has concluded a partnership to provide its online address book synchronization service to customers of telco company Virgin Mobile. Under the agreement, more than one million Virgin Mobile customers in Australia will be offered Soocial's service starting September. The partnership coincides with Soocial launching business accounts which allow companies to share important business contacts internally between co-workers in a safe way. Amsterdam based startup Soocial.com, today announced it is offering their premium service to people from Iceland for free. The Dutch startup understands the troubling financial times the Icelandic are in and have chosen to support them by offering their synchronization and backup software for free. The help comes at a time when economy has hit an all time low this winter. Amsterdam based startup Soocial, today announced it is launching its premium address book synchronization service. Soocial is offering the premium services to people from Iceland for free. The premium service allows for syncing all address books across 500 phones, computers and online services. Soocial is the only service that offers full-two way syncing between your phone, computer and online services like Gmail. The free service serves as a risk free introduction to the service.